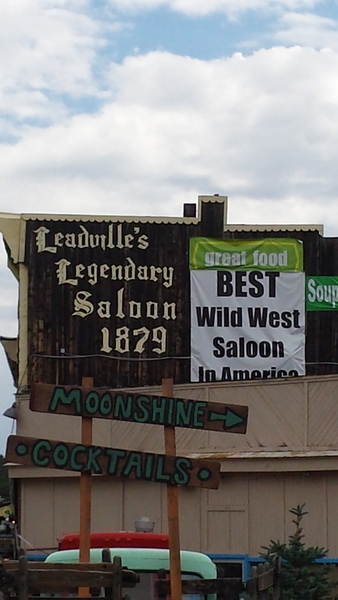 What is the criteria for "Best Wild West Saloon in America"? Who gets to decide that a sign that says "great food" should be posted? While taking the scenic mountain route to Snowmass, we stopped in Leadville for lunch. Leadville is North America's highest incorporated city. We thought that stopping at a legendary saloon would be fun. After all, it was voted the BEST. The wild west is big. Of all the saloons in the wild west, this was the BEST. I'm not sure who determined their status. It had some good wild west saloon decor, but that was it. Service was slow and indifferent. French fries and the burger were cold and dry. Some unfeeling guest decided to select a 15 minute Pink Floyd song on the juke box that was probably called Death Sounds of Halloween. A table complained to the bartender that their food was taking too long and they needed to head out. She told them the kitchen was busy and backed up and they would still have to pay for the food even if they didn't stay to eat it. What restaurant does that? If you don't receive the service, you shouldn't have to pay for it. The good news? This was the only poor experience we had on our trip. I have warm fuzzy feelings towards Slice and Big Hoss in Snowmass, The Meatball Shack in Aspen, the Quesadilla Mobilla and the Mac Shack at the Jazz Aspen Snowmass Festival and the Buena Vista Roastery. 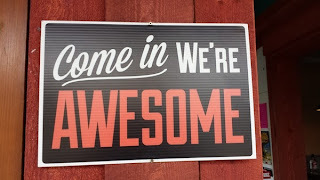 Across the street from the "best" saloon was a distillery that had this sign. .
Of the two signs we saw in Leadville, I'm thinking this one would have been the better choice. 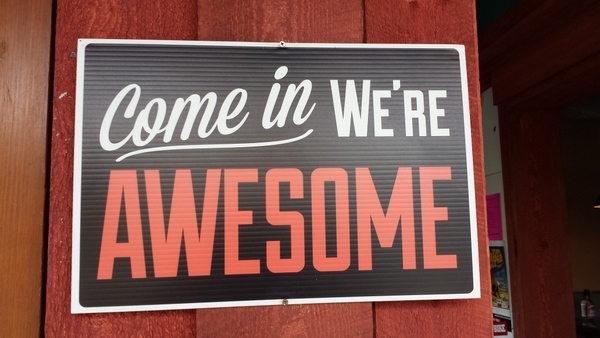 Awesome is much better than best anyway. Have you been somewhere recently that met or missed your expectations for being the BEST?